Ziamond utilizes the finest quality cubic zirconia and man made gems, in all of our jewelry designs. Our lab created man made gems simulate the epitome of fine mined Diamonds, Emeralds, Rubies, and Sapphires. We utilize only top quality lab grown man made gems so they compliment our high fashion and top quality jewelry designs. Ziamond cubic zirconia and man made gems are always set in 14K, 18K Solid Gold or PLATINUM. Ziamond top quality cubic zirconia are the finest lab created and lab grown cz available. We utilize only hand cut and hand polished gems, all cut to exact diamond specifications. 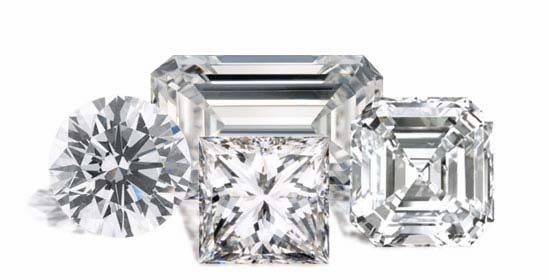 There are many different grades of cz and here at Ziamond, we only utilize the original Russian formula cubic zirconia. This is the original formula that was invented by Russia for their Space Program. It was developed as an alternative to diamonds that were used in the optics of their lasers. These stones are very hard (approximately 8.9 in hardness.) They have most of the same physical and optical characteristics of a mined diamond. Ziamond Rubies & Sapphires are synthetic Corundum and are lab created and lab grown. They possess the same physical, chemical, and optical characteristics of natural rubies and sapphires. They are also just as hard, with a hardness of 9 on the Mohs scale. All Ziamond Rubies and Sapphires are created in a laboratory under the same conditions that nature takes to make a genuine Ruby or Sapphire. They are also hand cut and polished in the same manner as genuine precious Rubies and Sapphires. Ziamond man made lab created Emeralds are the best alternative to the expensive natural version. Natural emeralds are very soft and can easily be damaged (8 on the Mohs scale of hardness,) whereas Ziamond lab grown emerald simulants are harder than the genuine article. Ziamond emeralds are also created and grown in a laboratory and are just as beautiful as natural emeralds. Ziamond is so confident about our cubic zirconia cz and gems that they are covered by a Lifetime Guarantee to maintain their original brilliance and luster. Ziamond cubic zirconia cz and gems are also guaranteed against cracking or chipping under normal wear. Should your Ziamond gemstone display signs of damage, Ziamond will provide a replacement gem at no charge to the original purchaser. Ziamond may replace the gem with the closest color and cut available at the time. Fees for stone setting and goldsmithing will apply. Original receipt must be presented for guarantee. Please see our Policies page for complete details.